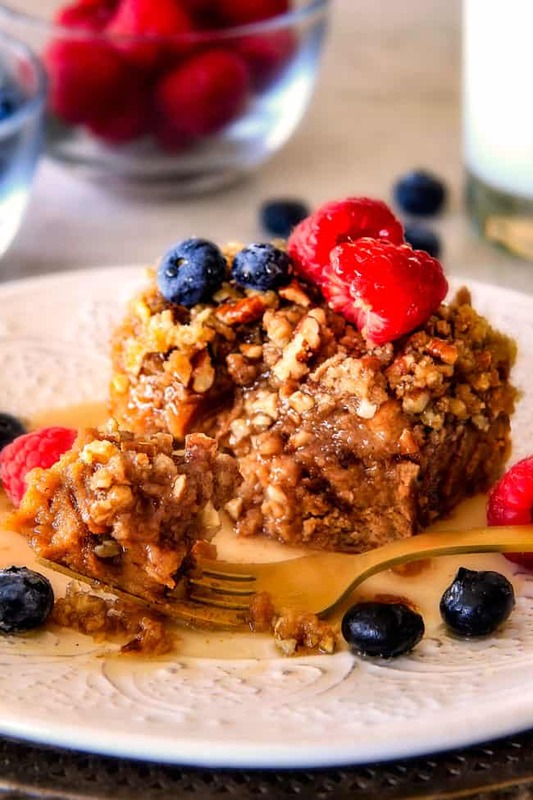 Easy Overnight Dulce de Leche French Toast Casserole infused with wonderfully sweet caramel-like dulce de leche is decadently delicious and all prepared in advance making it ideal for busy mornings or special occasions breakfast (hello Mother’s Day!) or add some ice cream for a make ahead dessert. And don’t skip the Brown Sugar Pecan Topping – its out of this world! 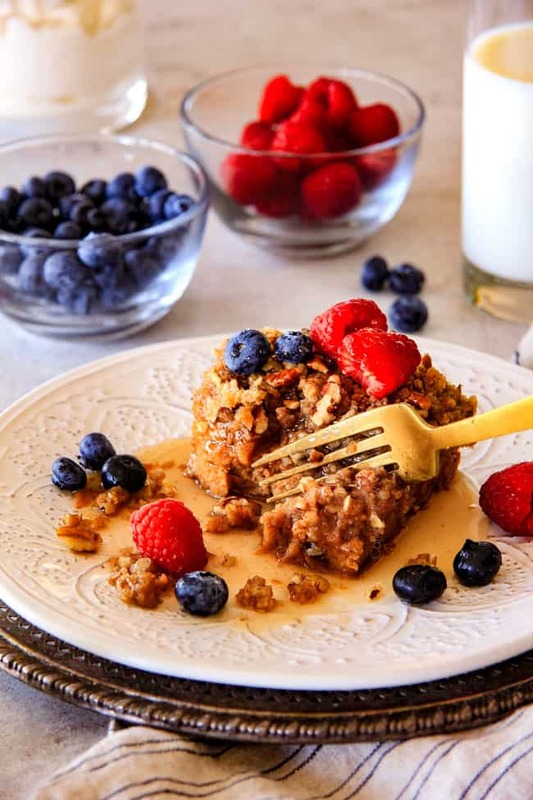 With Mother’s Day just around the corner, I thought it would be fun to celebrate with an easy, simple breakfast that anyone can make – seriously just hand the recipe over to your husband, son, daughter etc. to treat you or you can assemble this Overnight Dulce de Leche French Toast Casserole the night before because all you have to do the next morning is pop it in the oven making this a stress free, hands off breakfast dessert that everyone goes crazy for! I got the idea for this dulce de leche infused custard-like Overnight Dulce de Leche French Toast Casserole after making my Million Dollar Cookie Pie (from Oh Sweet Basil). I hadn’t baked much with silky, wonderfully sweet dulce de leche before but after spooning it straight from the can into my mouth, I knew it had to be used again. soon. now. for breakfast! And because I’m slightly obsessed with French Toast (you can see my many variations HERE), I knew what had to be done. 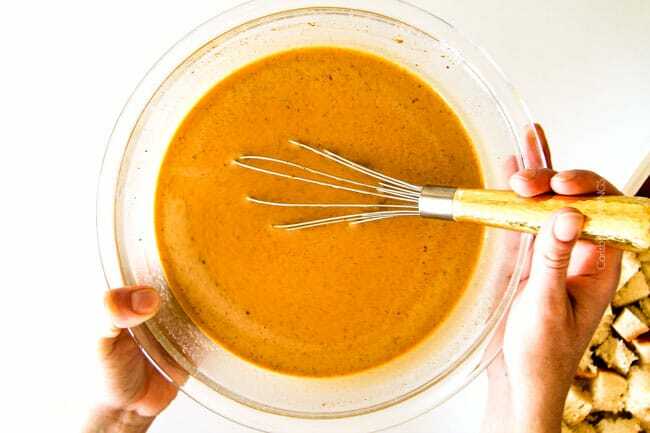 If you aren’t familiar with dulce de leche, let me acquaint you with this incredibly rich and decadent sauce that tastes somewhere between caramel & butterscotch with a strong milky flavor behind its sweetness. Dulce de leche is traditionally made with milk and sugar that are slowly simmered together for hours, creating the Maillard reaction in which the sugar caramelizes, changing the color and flavor of the milk into the thick, caramelized creamy sauce known as dulce de leche or quite literally, “candy [made] of milk” or “sweet [made] of milk.” Or quite literally, yum. To make this Overnight Dulce de Leche French Toast Casserole, you are going to want 2 day old French bread so that your casserole is the delectable consistency of toasted on the outside and tender on the inside – and not mushy. If you want to make this French Toast Casserole ASAP or don’t plan ahead for 2 days, no fear, just simply spread your bread cubes on a baking sheet and bake for about 20 minutes to get them nice and dried out. Add your dried out bread cubes to a 9×13 baking dish and its time for our easy, intensely delicious dulce de leche concoction! Simply whisk a can of dulce de leche with eggs, half and half, brown sugar, vanilla and cinnamon until smooth then pour it all over your bread cubes, cover, and refrigerate overnight for the bread to drink up all the caramel-like complex sweetness. Hello delicious on the inside and out. Meanwhile, we make our Brown Sugar Pecan Topping that is the second half of this tastes-like-heaven equation. Seriously, don’t skip this! The Brown Sugar Pecan Topping is a simple mixing of pecans, brown sugar, butter, vanilla, flour and cinnamon in your food processor. You can make the Topping the night before when you make your French Toast Casserole and refrigerate separately. The next relaxed, stress free morning, top your Dulce de Leche French Toast Casserole and sit back as the the brown sugar melts, coats and crystallizes the toasting pecans to golden perfection and seeps into the dulce de leche infused French toast casserole for perfectly tender, sweet inside, toasted outside and crunchy all over topping. 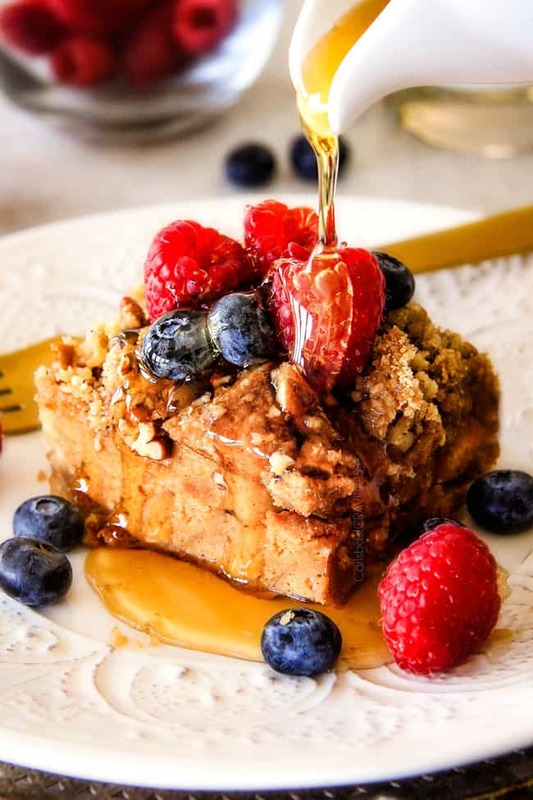 You can either drizzle your Overnight Dulce De Leche French Toast Casserole with more dulce de leche, maple syrup or powdered sugar, or even top it with ice cream and caramel for a full fledged, guilty pleasure for breakfast- or dessert – but I always recommend berries. Berries add a depth of tangy sweet freshness that enlivens the rich sweet caramel-y deliciousness. But any way you serve it, this Overnight Dulce De Leche French Toast Casserole is a taste of heaven on earth. And you mothers and mother-hearts out there deserve a slice. 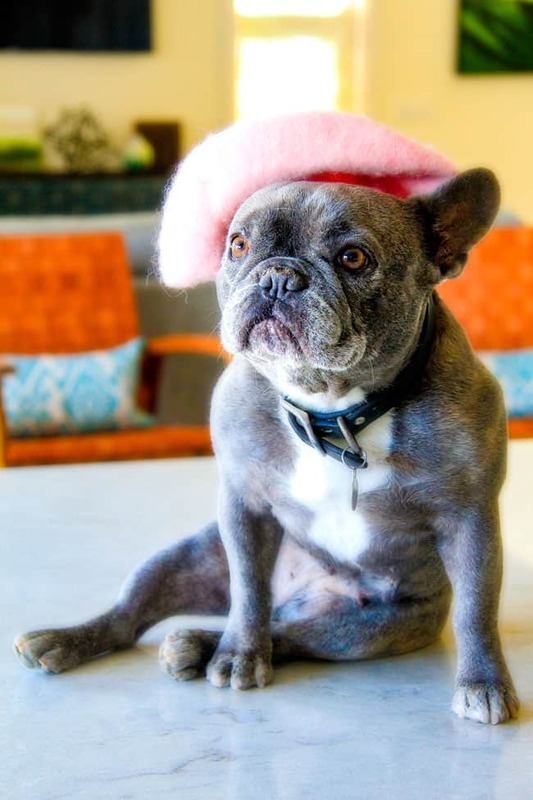 And because I had a pink French beret. Want to try this Overnight Dulce De Leche French Toast Casserole? Pin it to your BREAKFAST, DESSERT, or SPECIAL OCCASION Board to SAVE for later! Lightly spray a 9x13-inch baking dish with nonstick cooking spray then add French bread cubes. 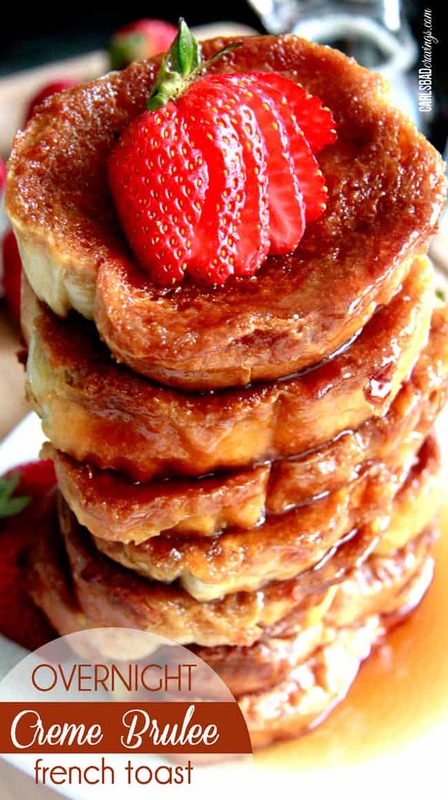 In a large bowl, whisk together all remaining French Toast ingredients then pour over French bread cubes. Gently stir bread to evenly coat. Cover pan and refrigerate overnight. Add butter, brown sugar, flour, and cinnamon to food processor and pulse until it resembles coarse pebbles. *** Add pecans and vanilla and pulse until evenly combined. Evenly sprinkle Brown Sugar Pecan Crumble over the bread and bake at 350 F degrees for 40-50 minutes, depending on how soft/”eggy” you like it. Serve with fresh berries and syrup if desired. Total prep time does not include refrigerating the French Toast overnight. 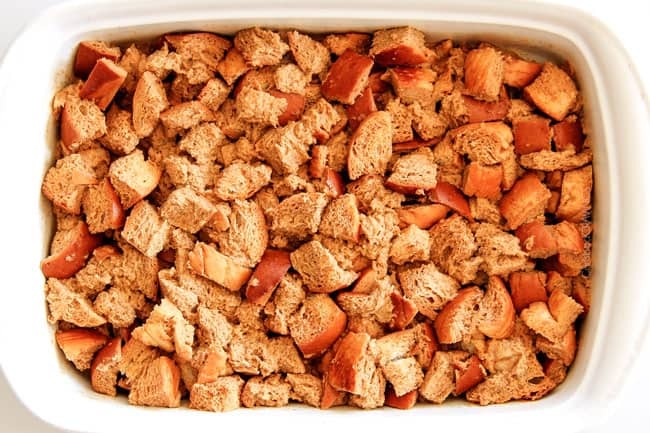 *I cut my bread into cubes when I first buy it, then let the bread dry out on my counter that day then make my French Toast Casserole the following night. If you don't have time for day old bread, you can buy fresh bread, cube it, spread it out on a baking sheet and bake at 350 degrees F for about 20 minutes. 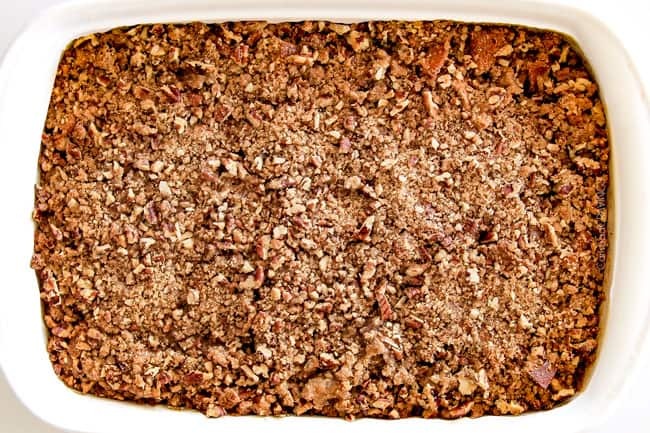 **The Brown Sugar Pecan Crumble can be made the same time as the French Toast then refrigerated or prepared the morning of baking the casserole. ***If you don’t have a food processor, add ingredients to a mixing bowl and cut butter into brown sugar with pastry cutter, 2 forks, etc. This looks delicious! I’m craving French toast for tomorrow. Thank you Katherine, I hope you can make it soon! You will absolutely love it! Wooooow! I want to have this decadent breakfast on Mother’s Day. Now how to go about casually showing this to my family….. I can’t have nuts, is there anything else I can use. Hi Pamela, you can absolutely cut this recipe in half and use a 8×8 baking dish. I haven’t personally tried freezing this recipe, but from what I have read about other French Toast Casseroles, they should freeze well. 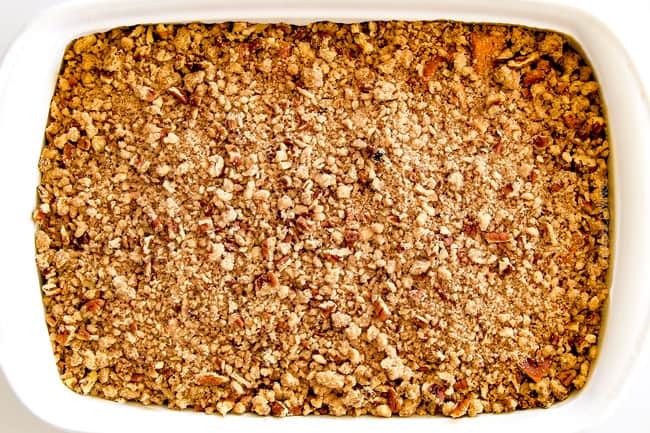 To freeze, cover prepared casserole and topping tightly for up to 2 months. Thaw overnight in the refrigerator and then bake as directed. Hope that helps! KIWI!!! haha, love it. She looks fabulous in hats. hahaha! she will wear anything and not care :)!